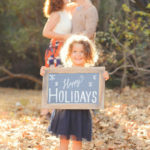 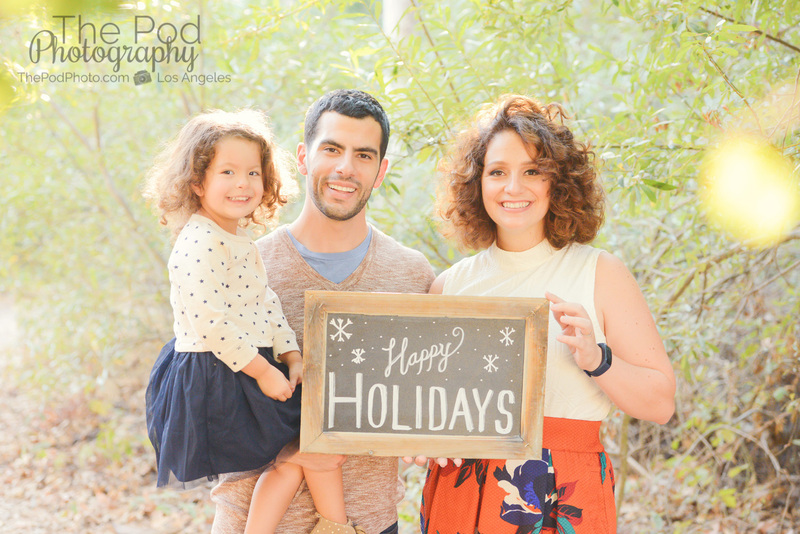 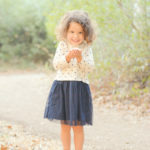 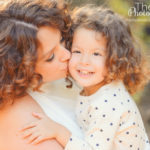 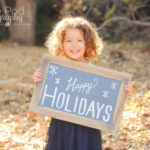 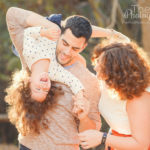 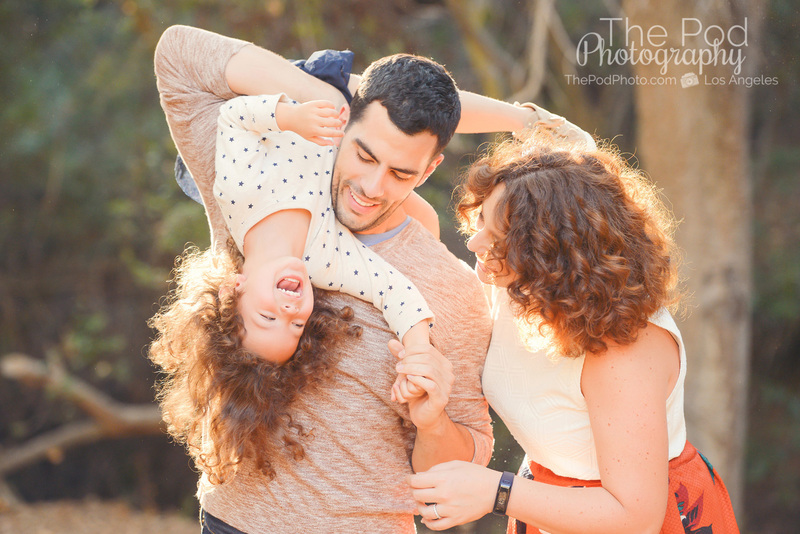 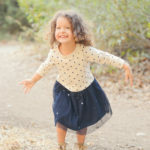 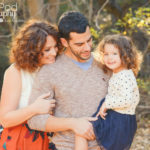 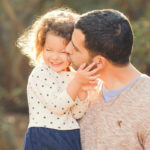 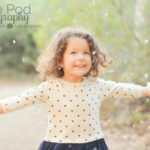 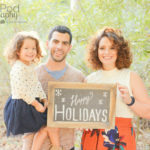 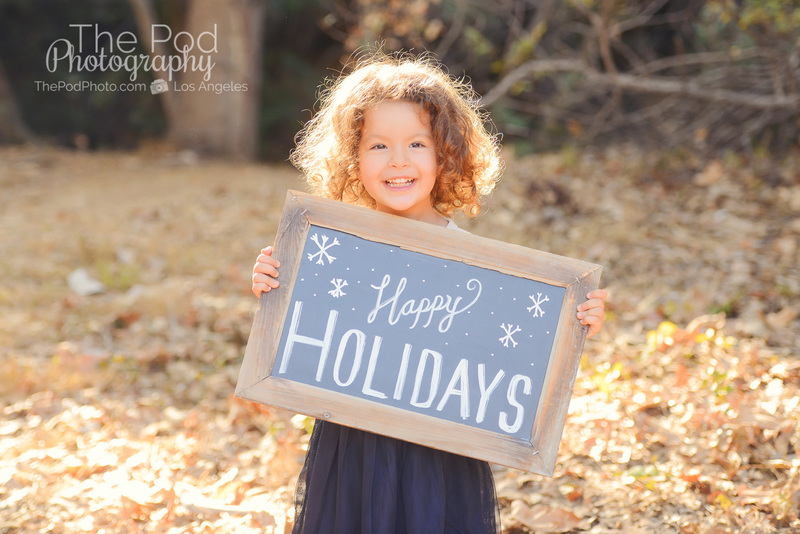 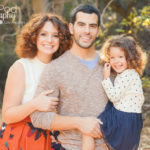 Best Family Photography In Los Angeles | Holiday Card Portraits - Los Angeles based photo studio, The Pod Photography, specializing in maternity, newborn, baby, first birthday cake smash and family pictures. 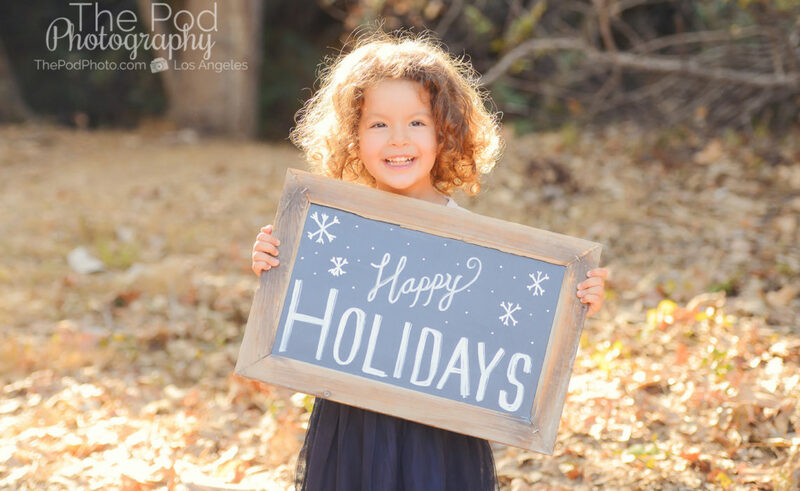 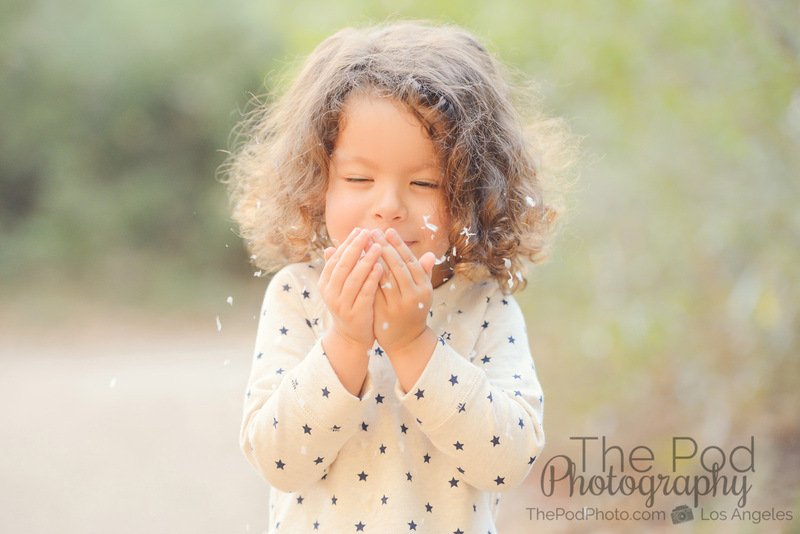 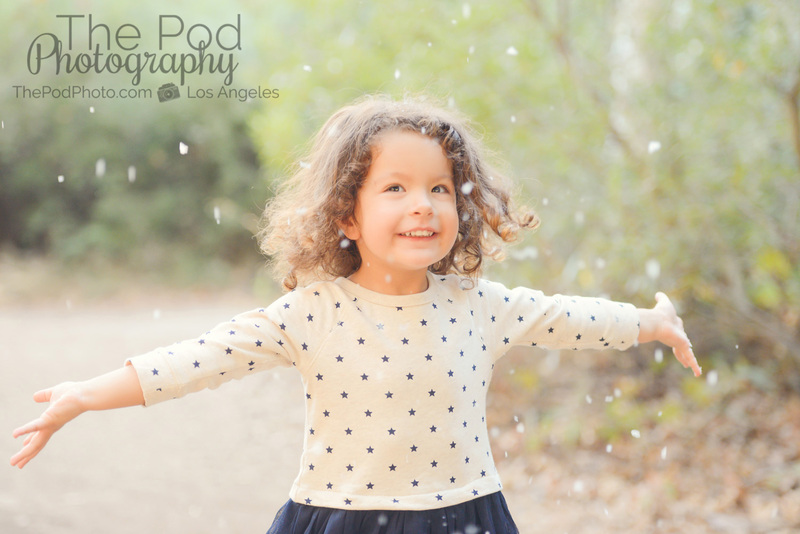 We are full swing into the Holiday Season here at The Pod Photography, and given that we are fully booked at our Los Angeles studio with newborn baby photo sessions, first birthday cake smash shoots, and in-studio family sessions, we are shooting a lot out on location as well! 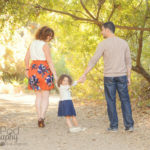 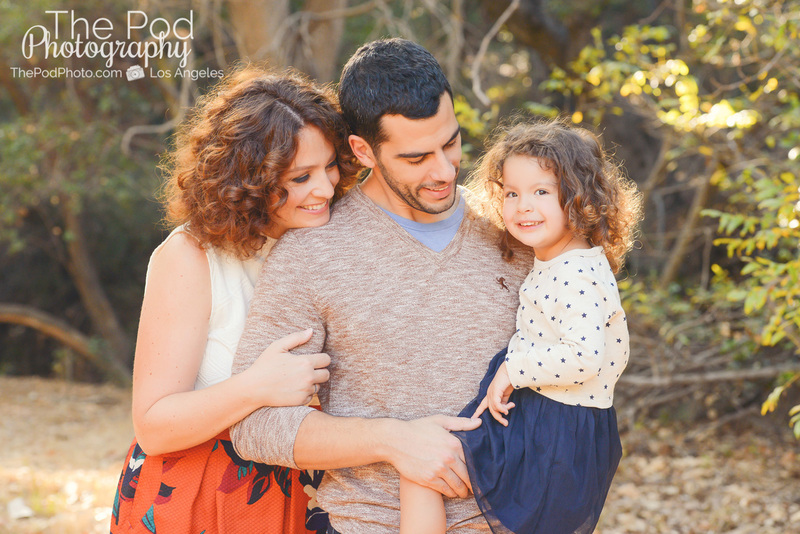 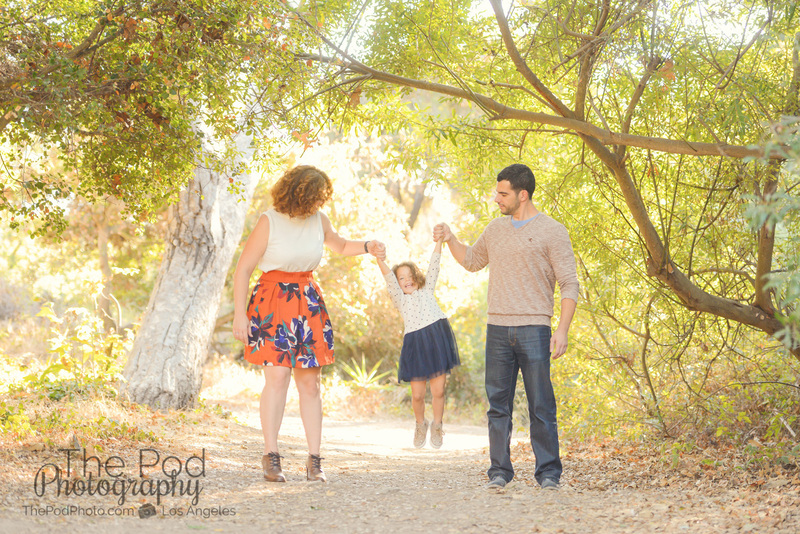 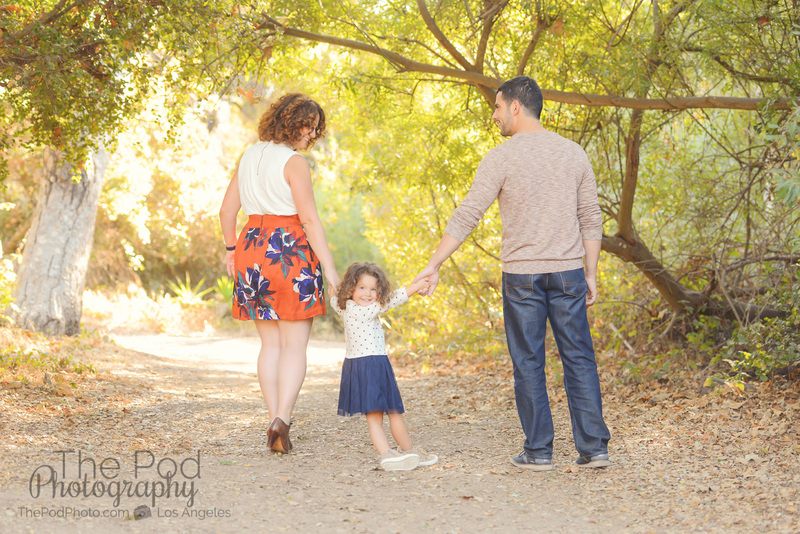 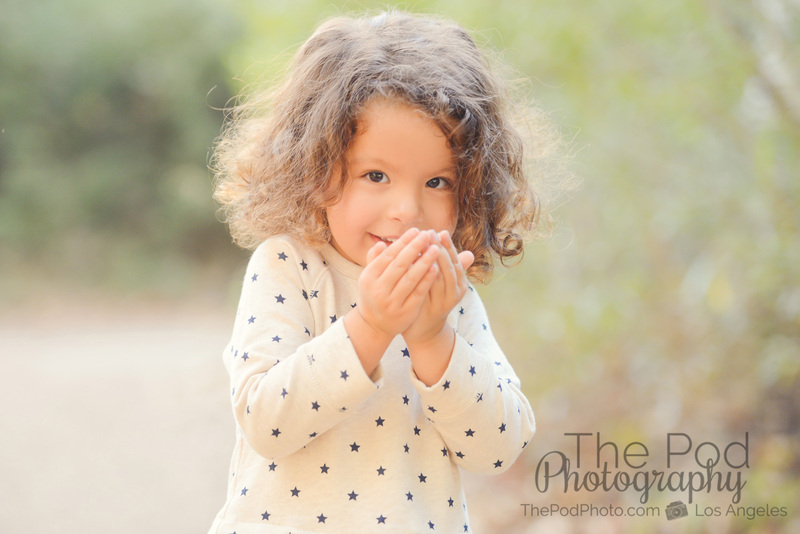 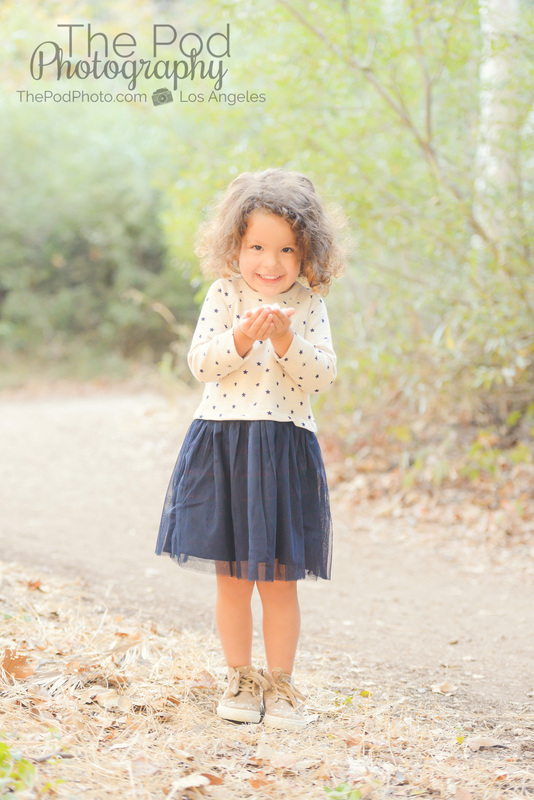 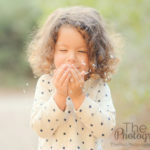 One of our favorite places to photograph families in Los Angeles is at Temescal Canyon. 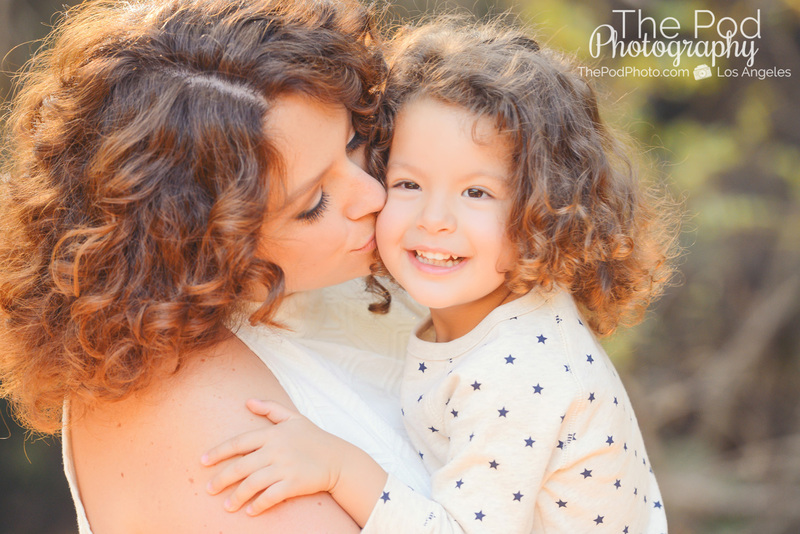 The rustic feel with the fall leaves and gorgeous golden light filtering through the trees makes for such amazing portraits. 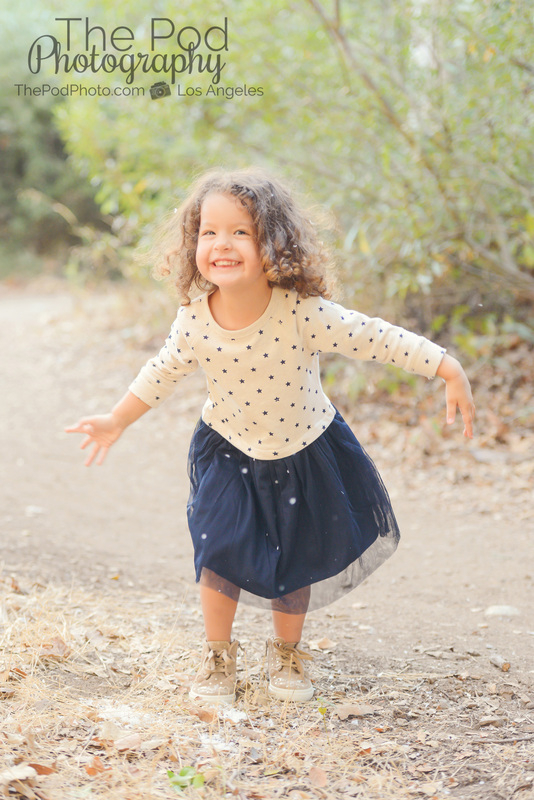 It’s an especially great place to document families with children that want to run around and be free, like three-year-old Jasmine below. 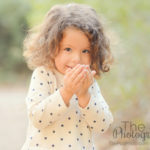 Shooting at an outdoor location is perfect for toddlers since it can be a challenge to contain one little wiggle worm on a 5-foot set in the studio! 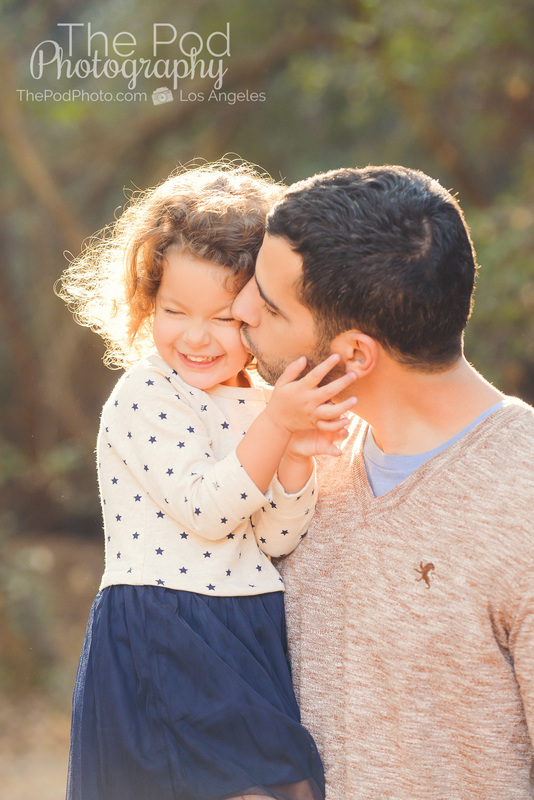 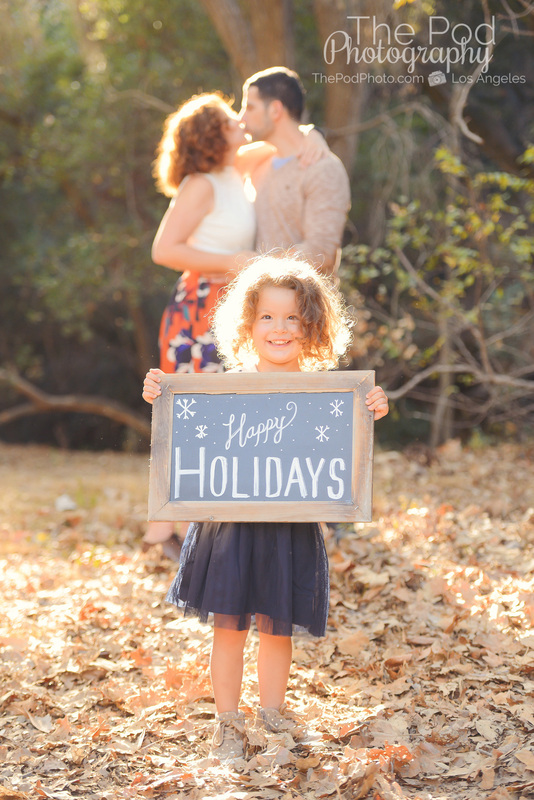 Take a look below at some of our favorite photos from this family’s holiday photo session! 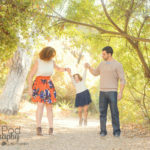 Playful & Candid Family Photos! 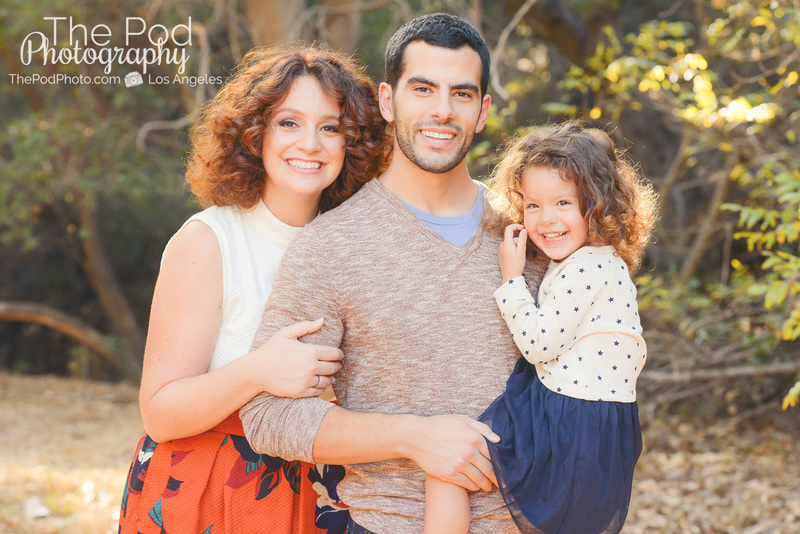 We love photographing families outdoors and we have a ton of go-to locations in Los Angeles that we recommend, but be sure to check us out at our full-service photography studio where we can custom-design amazing photo sets and tell your family’s story 100% unique to you!